Thanks for checking out A Perfect View Window Cleaning. We are a great window cleaning company focusing on quality and customer service in St. Louis Park. You will not get a higher quality window cleaning. Our crews are highly trained, working with the owner Chris Laddusaw for years. Leaving no streaks, smears, or smudges. We remove all dirt, mud grunge, bug marks, bird marks, sap, stickers, and anything else that made its way on your windows. 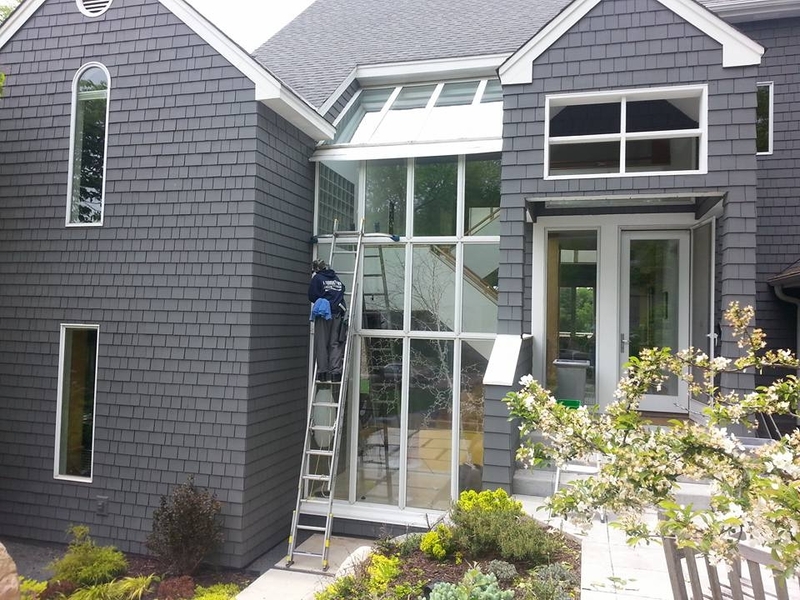 Unlike most window washers out there, we take our time when we clean windows. We use ladders to get to high windows, never using poles, being careful of landscaping outside, and all of your personal items inside. We make sure you are happy, guaranteed! We also use care when gutter cleaning. We hand pick all the debris in your gutters, and place it in a bag. This leaves no mess in your yard. We then check your downspouts. If your downspouts are clogged, we unclog them with a hose. Gutter cleaning is very important to prevent water damage from the fascias all the way down to basements. Another service we provide is power washing. We will pressure wash your home, taking off the dirt, mud, mildew, and all other things that may find its way on to your siding, deck, or sidewalk. Give us a call for your free estimate in St. Louis Park!